Phil Hellmuth came close but finished oh so far from his 15th WSOP bracelet last night as Jonathan Duhamel won this year's $111,111 High Roller for ONE DROP. Riding a wave of positive momentum gained from winning his 14th title earlier in the summer, Hellmuth lined up in the charitable high roller on Sunday and managed to weave his way through to yesterday's final table. Competing against some of the finest players in the world, including the likes of Andrew Lichtenberger, Ben Sulsky and Dan Coleman, Hellmuth managed to move himself into contention as the field began to thin. However, with a chance to extend his bracelet record glinting on the horizon, Hellmuth took a tumble and hit the rail five places shy of the championship. After losing a chunk of his stack, the leading all-time bracelet winner made a move with Ad 4s but found himself in trouble after Dan Perper called with pocket kings. Despite having a slim chance at redemption, Hellmuth's dreams of another bracelet faded as the board ran out: d 8d 7s 3d 5s. 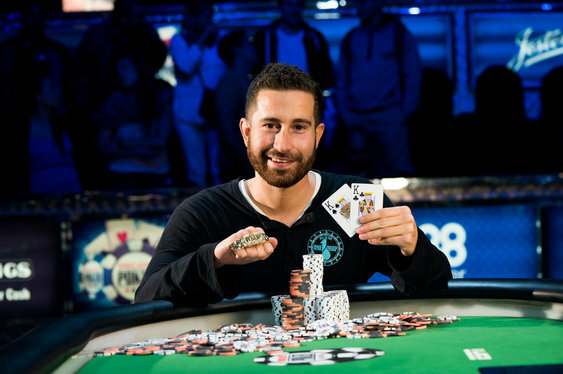 With Hellmuth out in 6th, the tournament continued and when the dust had settled it was former Main Event winner Duhamel who eventually walked away with the title and $3,989,985 after defeating Bill Klein heads-up.